A year ago I sequestered myself in a damp, dark cabin in the woods with no phone, no internet, only a woodstove and my instruments for company, and I wrote. Wrote and wrote and woodshed, and emerged with the bones of our third release. Five years since my first solo project, the ELB has become a tight trio. While I bring the songs, Keith and Erik contribute mightily to the arrangements. The feel of the music, the conversation of our instruments and voices, is the original sound of the three of us. I am lucky to work and play with these two adventurous musical minds, fun performers and excellent tour companions. This record is a true reckoning of our ongoing collaboration. All songs arranged by the ELB. Erik played Eli’s Romero gourd banjo on Honey Lou; Keith played his favorite bamboo spoons on CooCoo, his keys on Honey Lou, and co-created the body music parts for Walking in a Straight Line; Bruce Kaphan added his sweet pedal steel to Drinking About You. All songs written by Evie Ladin / Evil Diane Music, BMI, except: Ease on Down is a mashup of Down the Road (public domain) and Ease on Down the Road (Charles Emanuel Smalls, BMI, Sony/ATV Songs LLC OBO Mijac Music/Warner-Tamerland Pub Corp. Honey Lou is from the Carter Family. Have It All quotes recordings of The Rolling Stones, Jimmy Cliff and Paul McCartney. 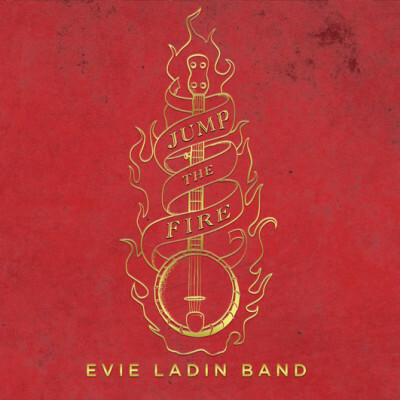 JTF came in as 25th Folk Album of the Year, with Evie Ladin the 49th Artist of the Year, right behind Bill Monroe and Greg Brown. Most played songs: Ease On Down, Honey Lou, Jump Up & Go. Great company, lots of radio play, including KBCS (Seattle, WA) and WPRB (Princeton, NJ) top 10 of 2016.